Wheatgrass, wheatgrass, wheatgrass! Doctors recommend it, your friends love consuming it, your neighbors cannot put a stop to the list of its health benefits, the internet is all for it and the newspapers don’t seem to get enough of discussing this new found health product. Doesn’t it make you want to consume wheatgrass too? Or have you already begun? It’s time to stop right there in your tracks and answer our questions. Do you know completely well what wheatgrass is? Are you aware of its health benefits? Do you know about its side effects? Well, you ought to know what you’re consuming, how much to consume and why you’re consuming it. On that note, let’s explore what wheatgrass is all about. Young wheat, sprouted and grown for a period of 10 days, develops into wheatgrass. This lush green grass is harvested at an early stage and either processed to form a powder or juice. The health conscious consume wheatgrass on a daily basis either in powdered form or as a juicy drink. How do you consume wheatgrass? Wheatgrass powder or juice is known to contain all the necessary nutrients required to sustain life. Wheatgrass contains Vitamin A, Vitamin C, minerals like calcium, potassium, magnesium, zinc and iron, essential proteins, live enzymes, chlorophyll and glucose. Additionally, all these nutrients are present in their simplest forms; therefore, wheatgrass entails minimal digestive action. Wheatgrass is considered as one of the healthiest green foods available today. Would you like to know some of the benefits of this healthy product? If yes, read on. Wheatgrass is known to provide energy instantly. Therefore, consuming wheatgrass the first thing in the morning to feel alert and awake is highly recommended. Wheatgrass has anti ageing properties; it is known to keep skin firm and prevent graying of hair. Its daily consumption lowers the chances of cancer and heart disorders. Wheatgrass is beneficial for detoxifying the body and purifying the blood stream. It helps keep blood sugar levels stable. Wheatgrass consumption improves digestion and fertility. The consumption of wheatgrass is known to have pain easing and relieving effects. Wheatgrass is rich in anti-oxidants. Therefore, wheatgrass contributes to overall mental and physical health. Well, aren’t there always two sides to the coin? Keeping in mind the side effects of wheatgrass can help alter your consumption accordingly. 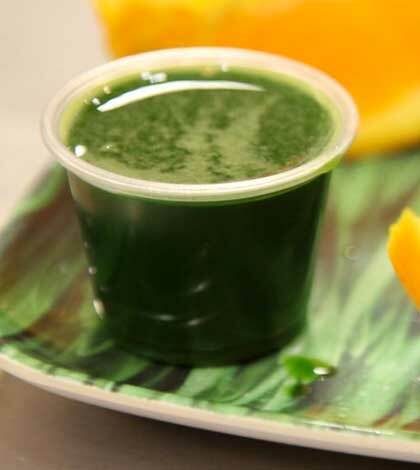 Upon immediate consumption, wheatgrass is likely to cause headaches and dizziness. 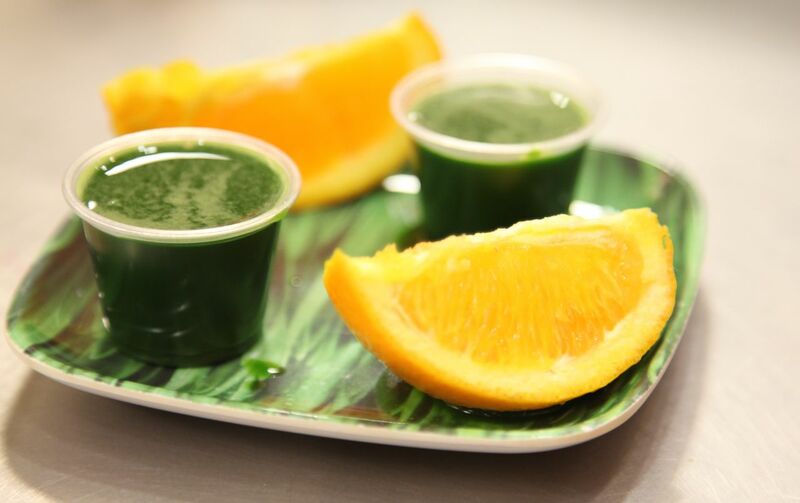 Consuming wheatgrass soon after a meal leads to nausea and an upset stomach. Therefore, it is recommended to consume wheatgrass on an empty stomach when fewer digestive juices will mix with it. The excessive consumption of wheatgrass causes diarrhea. Allergic reactions to wheat can crop up with the consumption of wheatgrass. Rash, hives, swelling of the mouth and throat and uneasiness are some of the visible allergic reactions to wheatgrass. While wheatgrass is a beneficial mouthwash preventing bacterial growth and oral odor, its excessive use can lead to the staining and darkening of teeth. Would you risk saying goodbye to your sparkling teeth? As it is with any health product, the trick to keeping it healthy and beneficial to you, is moderate consumption. Moderate consumption is the basic principle for any food item and to maintain overall good health. So, how’s that wheatgrass consumption going to change now?